It was a month ago that we got the first murky glimpses of a possible new Home Server product in the works from Hewlett Packard. A couple of weeks later we saw some less murky pictures but still weren’t sure what exactly the LX195 was going to be. Today we saw our most informative info when we got a report from “WireBoy” in the forums that eCost.com had it listed available for sale, but that link disappeared before too long. 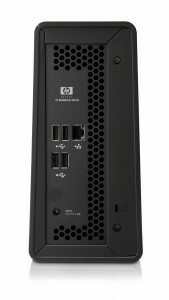 HP has today lifted the embargo on the LX195 and I’m able to share with you the details of the newest MediaSmart Server. We were right on many of the guesses we made based off the leaked pictures, and here are the full hardware specifications. For comparison, the EX47x and EX48x servers are 5.5″ x 9.8″ x 9.2″, so the LX195 is a fair bit smaller. The new server has a built in sleep mode where it consumes a claimed 3 watts of power, though there is no mention of the idle and running power consumption statistics. On the software side of things, the LX195 has a lot of the same features as the EX485 and EX487 servers originally shipped with. In addition to the standard Windows Home Server features, the LX195 delivers the following features. 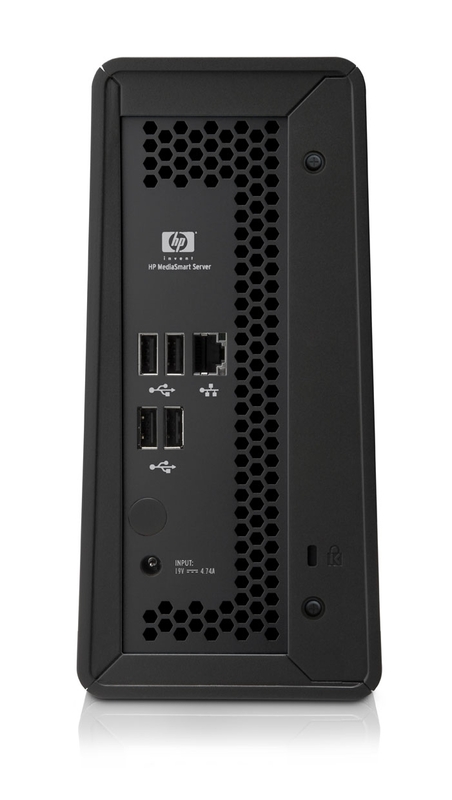 The HP MediaSmart Server LX195 lists for $399 MSRP, and the eCost link we saw earlier today had it listed for approximately $390. I’ve got an inquiry in to HP on availability outside the US and will post an update when I have that info. I find the concept of a single drive home server to be interesting. I suspect it’s meant to be a reduced cost way for a customer to get the features of Windows Home Server and the HP additions. Many people may already be doing some form of backup to an external hard drive and could instead utilize that to enable duplication, without incurring an additional expense. I’m a little surprised at the price point, though, I think to really sell like hot cakes the price would need to be a bit cheaper. 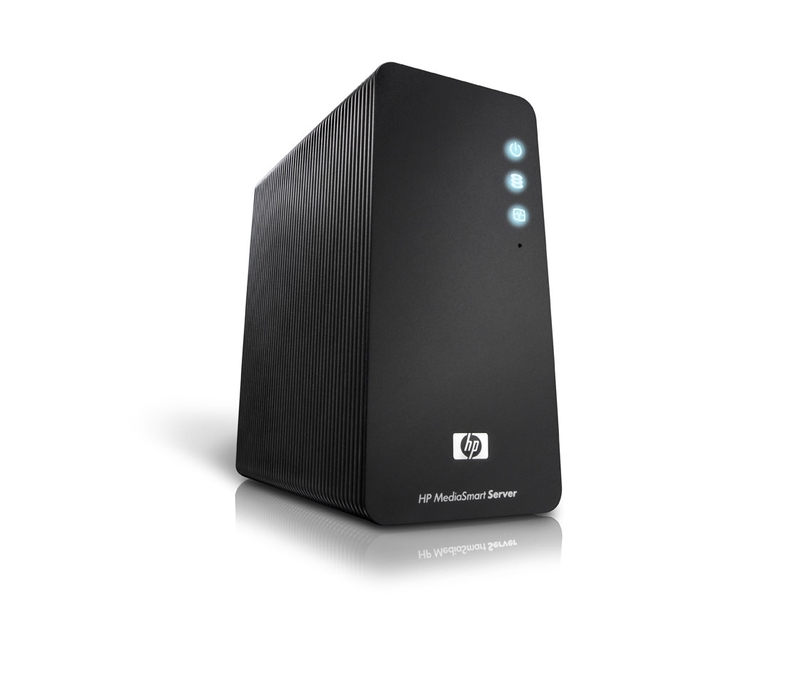 Ultimately it will likely come down to how appealing is the HP additional features compared to the other options that are available in the market. I’ll be sharing more of my thoughts and impressions of the LX195 in an upcoming review. In the mean time, how do you like the looks of the new MediaSmart Server? How well do the features, form factor, and price fit a need in the Home Server marketplace? And finally, are there any specific questions you’d like answered in the review? Be sure to leave a comment or post in this forum topic with your thoughts. Digression time: With the original EX, GX, and now LX model designations, am I the only one craving a DX so that we’ll have the entire line of Honda Civics covered? Like you, I’m interested to see the idle power consumption statistics. I’m hoping they make advancements in that area moving forward. +1 on $399 being a bit steep. Price needs to be in the $200s, not close to $400… Until then no interest here nor do I see a reason to recommend this to anyone. Last time I looked, you could buy a REFURB EX470 on the HP site for $379.99. That’s a FULL SIZE mediasmart server. Although a nice concept, but with limited expandibility, I can’t see these things flying off the shelves @ $399. .
2 weeks ago I bought the EX 485 for $400.delivered, at amazon. I also think this would have to be in the $200. range to even be considered. For a one drive box, the drive needs to be 1TB. And: HP should read the forums. 2GB RAM is pretty much the standard and required if you run a bunch of add-ins. Case: $45 (it a special design but comparable cases cost about that much. Assembly: $10 (there is really not much to assemble here). I am pretty sure HP could sell this puppy for $300 and still make a 10-20% margin on it. I think for the target market 1GB may be ok, my primary MSS only has 1GB RAM, and I don’t run a ton of add-ins. I think this is targeted even more mainstream than the EX servers, customers that probably won’t tweak and install as many add-ins. That’s a thought on my part, of course. Your cost calculation leaves out a tremendous amount of the “back end” of a business. There’s no cost covered for the electrical engineering of a custom motherboard, mechanical and thermal engineering of the case, software engineers and management salaries, marketing costs, etc. As you can see the cost of business goes up very quickly. Having seen the recent way HP have treated their EX47x users, you have to give HP credit for having the balls to bring this out while there are so many angry Ex47x users waiting and wanting the latest update. You can bet your bottom dollar that you will buy this product and HP will ditch it before it is a year old… cynical maybe but going on their current actions…!! With a price over $200 it is too expensive. For me the minimum WHS server needs TWO disks for duplication of the Shared Folders. we are interested in the hp LX195 mediasmart home server. We are a company from Germany and we want to order 30 home server. Does somebody know, which company does export the homeservers? Hi Nicole, unfortunately I do not believe the LX195 is available in Germany and I am not aware of any distributors who will ship it out of region.